CENTRAL CITY -- Odessa Evans Croft Sullivan, 71, of Central City entered into eternal life at 8:30 a.m. Tuesday, June 15, 2010, at Regional Medical Center in Madisonville. She was born on May 13, 1939, in Muhlenberg County. She was a homemaker and member of New Hope Baptist Church. She was preceded in death by her husbands, Paul Croft and Chester Sullivan; her parents, Clinton and Haley Evans; two brothers, James Evans and Richard Evans; and sisters Jewell Bullock, Paula Hawks, Faye McCormick and Shirley Hallum. Survivors include two sons, Donald Croft of Central City and Paul Donald Jr. (Connie) Croft of Bremen; a sister, Gynon Murphy of Central City; three grandchildren, Dustin Stroud of Owensboro, Amber Croft of Cadiz and Chrystal Croft of Central City; two great-grandchildren; 20 nieces and nephews; and several great-nieces and nephews. 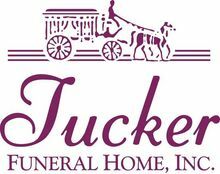 Services are at 1 p.m. today at Tucker Funeral Home in Central City, with the Rev. Donnie Wilkins officiating. Burial will be in New Hope Cemetery in Central City. Pallbearers are nephews John Evans, Eddie Murphy, James McCormick, Richard Hallum, Joe Croft and Brian Dorris. Honorary pallbearers are sons Donald Croft and Paul Donald Croft Jr. Online expressions of sympathy may be made at www.tuckerfuneralhomes.com. The beautiful and interactive Eternal Tribute tells Odessa's life story the way it deserves to be told in words, pictures and video.